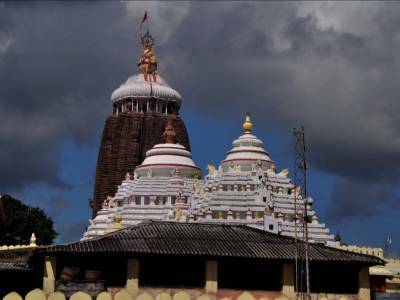 The Jagannath Temple is a highly significant temple for the Hindus situated in Puri in the Odisha district of India. Here, Lord Jagannath; a form of Vishnu is worshipped. It was from the 10th Century that the current temple was being built. 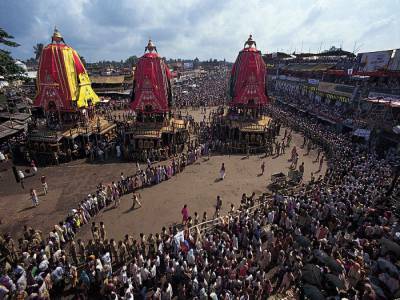 The temple is highly famous for its annual Chariot festival also known as Ratha yatra. 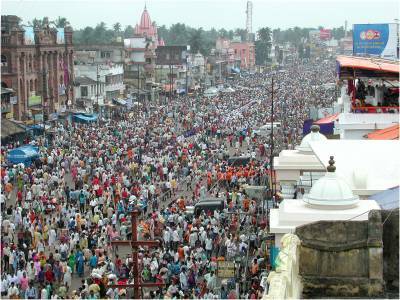 It is during this time that millions of devotees from all over are seen attending this festival with great enthusiasm. During this event the three principal deities are pulled in an extraordinarily marvellous chariot. It is from this connection that the term “Juggernaut” has come into the fore. The shrine of Jagannath is composed of wood and is replaced ceremoniously with great grandeur after every 12 or 19 years by an exact replica. The Jagannath Temple of Puri is an extremely sacred one to all Hindus and particularly to those belonging to the Vaishnava traditions. Great saints like Ramanuja and Ramananda were associated with this temple very closely. Jagannath, Devi Subhadra and Badathakura Balabhadra together are the trinity of deities that are predominantly worshipped. The deities adorn various jewels and garbs with respect to different seasons. Indeed, the Jagannath temple is the pride and honour of the place of Puri and the state of Odisha. Epic stated that in the Treta Yuga, the actual image of the lord had the power of granting "moksha" to anyone who witnessed it. The Lord Yamraj (God of Death), think it is not justice to granting "moksha" everyone, So Lord Yamraj decided to keep the image in some distant and unknown corner of the earth. However, as Dvapar Yuga startted, the idol that is worshipped today in Jagannath Puri was re-constructed by Lord Vishnu himself with the help of wooden logs. The structure of the temple is like the shape of a pyramid. There are four entrance gates to the temple named Ashwadwara, Singhadwara, Vyaghradwara and Hathidwara. 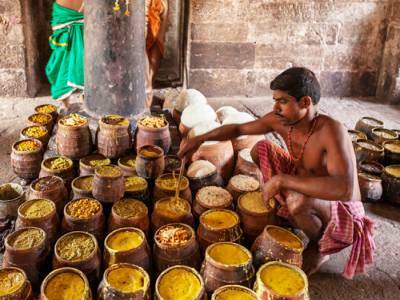 The Lord is offered food (“bhoga”) six times every day. 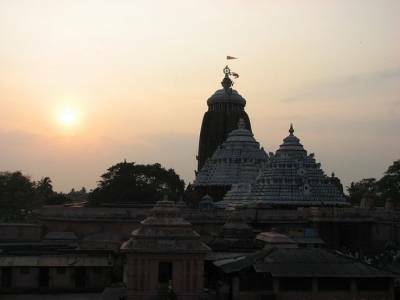 The Jagannath temple of Puri is not only famous in India but its popularity has crossed boundaries making it a world famous temple. This sacred and majestic Jagannath Temple form a part of the “Char Dham” pilgrimage. Puri can be reached from all parts of India and is easily accessible via all three modes of transport viz. rail, air and road. Accessibility: Transportation is not an issue, it well connected by buses, Trains and Airs. The Nearest airport is "Biju Patnaik Internation airport" in the Bhubaneshwar city, distance just 58KM. Accommodation: There are couples of places to stay in Puri, you will find affordable guesthouses, budget hotels and luxury hotels. Get quick answers from travelers who visit to Jagannath Temple, Puri.